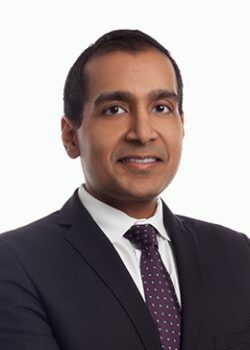 Sachin H. Jain, MD, MBA is President of CareMore Health System, consulting professor of medicine at the Stanford University School of Medicine and a contributor at Forbes. “For me professionalism is about doing what’s best for the patient, independent of any other external forces. When I finished my residency, I was looking to join a health system that was really trying to change care and where the culture was oriented around always doing the right thing for the patient. I had a very hard time finding that and I ultimately decided to join the Veterans Administration because the VA is imbued with a very strong sense of mission. Several years later when I heard about CareMore, I found what I was always looking for. As President of CareMore, I believe my responsibility is to make it easy for the clinicians who work within our system to do what’s right for the patient 100 percent of the time. It’s a challenge in health care because often the incentives for what we would typically think of as ‘professionalism’ are at odds with what might be in the best financial interest of a health system or individual physician. My job is to make it as easy as possible for physicians to do the right thing and that’s about creating a system, structures and support that facilitate that. There’s a whole generation of physicians coming out of residencies and medical schools today that are all about changing health care, yet they have limited destinations where they can put that into practice. The roots of professionalism are planted in people before they even leave medical school but in a lot of practice environments, the systems are aligned to kind of beat those roots out of you. At CareMore, we try to water those roots and allow those professionalism instincts to flourish. Part of our value proposition to physicians is giving them the opportunity to really work in an environment and for a company that values their instincts as they relate to patients. We don’t pay our physicians on a volume basis—we pay them good salaries and bonuses for outcomes that they achieved, which is very different from how most health care organizations operate.